The Peace Palace (Vredespaleis) is an international law administrative building in The Hague. 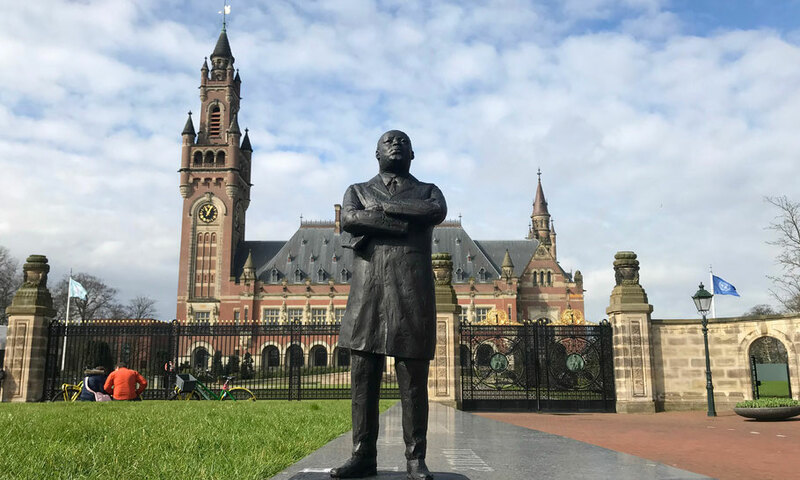 It houses the International Court of Justice, the Permanent Court of Arbitration (PCA), the Hague Academy of International Law and the Peace Palace Library. The Palace officially opened on 28 August 1913, and was originally built to provide a home for the PCA, a court created to end war by the Hague Convention of 1899. The European Heritage Label was awarded to the Peace Palace on 8 April 2014. The International Court of Justice is the principal judicial organ of the United Nations. It is the only one of the six principal organs of the United Nations not located in New York City. The Court’s role is to settle, in accordance with international law, legal disputes submitted to it by States and to give advisory opinions on legal questions referred to it by authorized United Nations organs and specialized agencies.